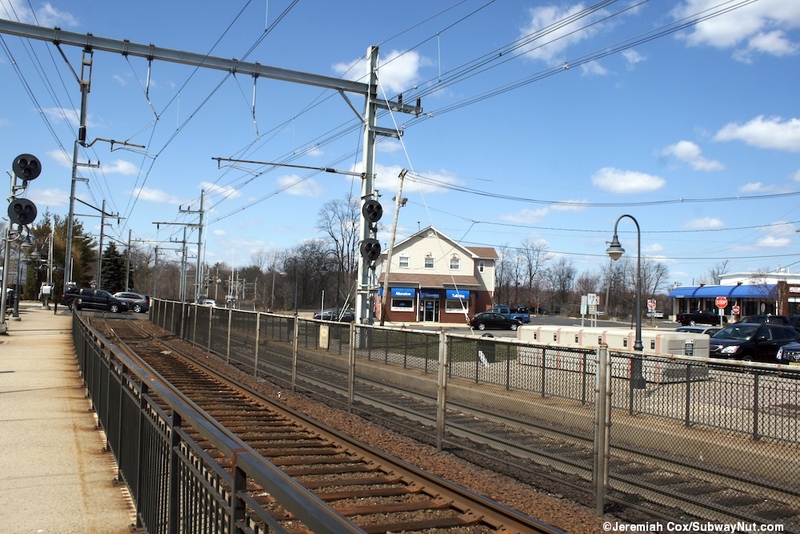 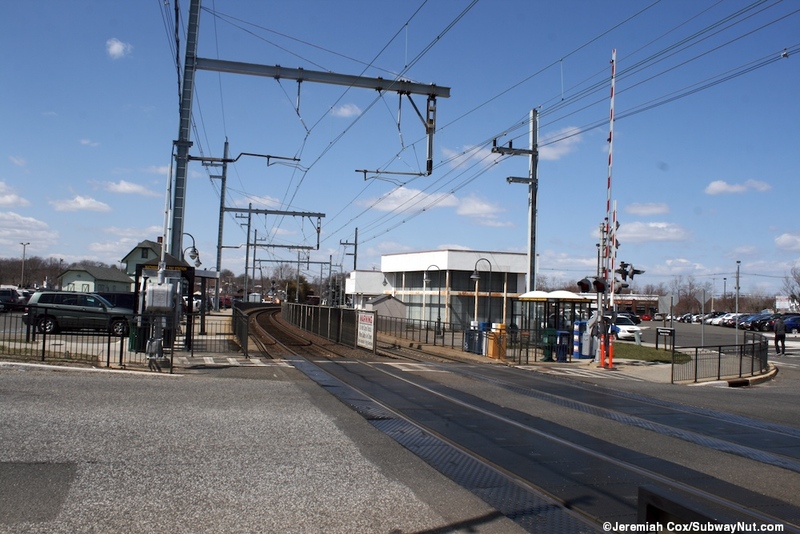 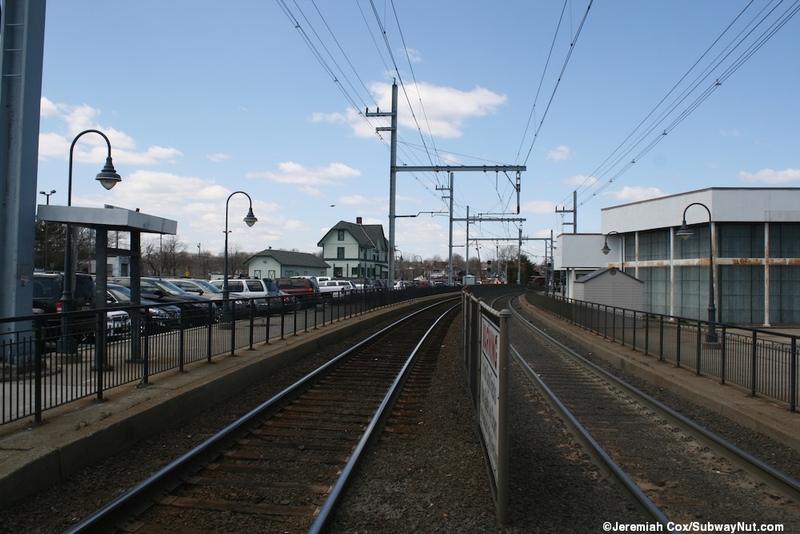 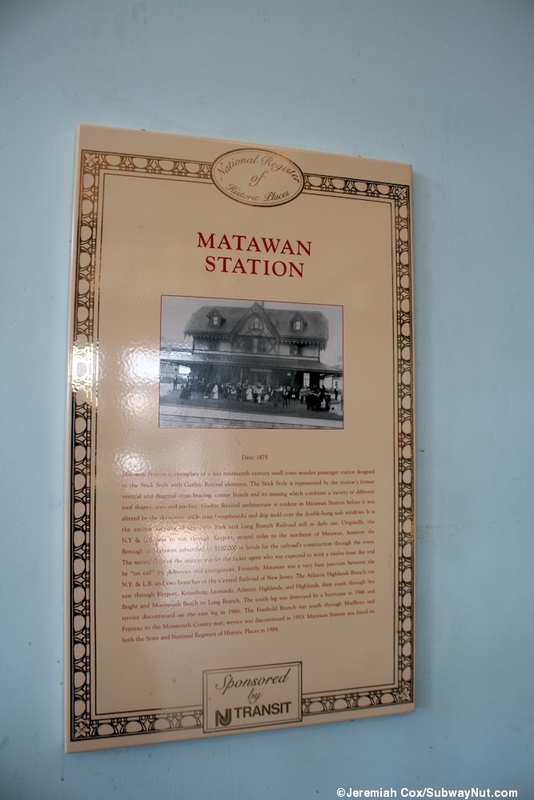 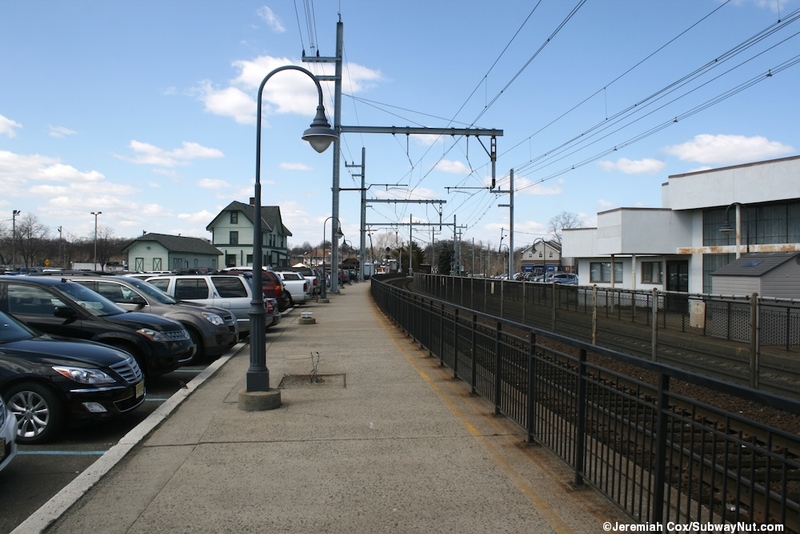 The original Matawan Station is a historic Victorian 1875 station seperate freight house and the fenced off remains of two low-level side platforms still with an extra fence between the tracks and faded yellow-lines that run between the grade crossings of Atlantic Avenue and Main Street. 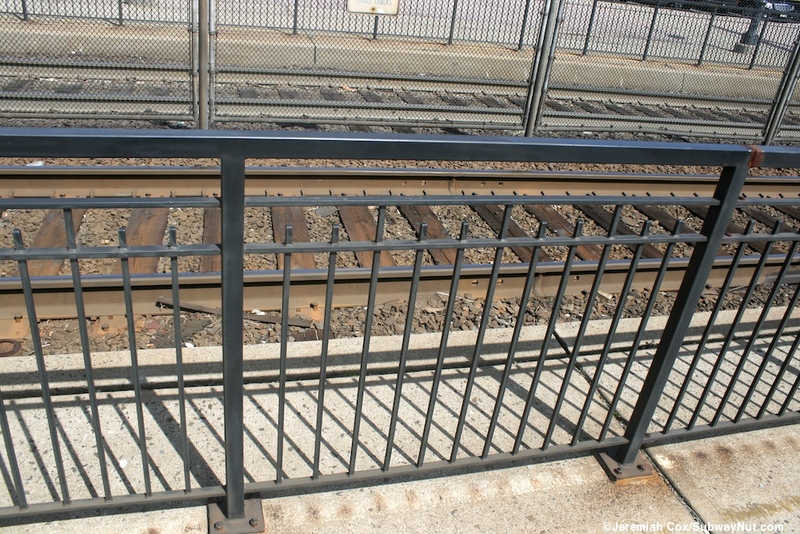 The modern high-level platforms and small ticket office are located across Atlantic Avenue and opened in the late 1990s. 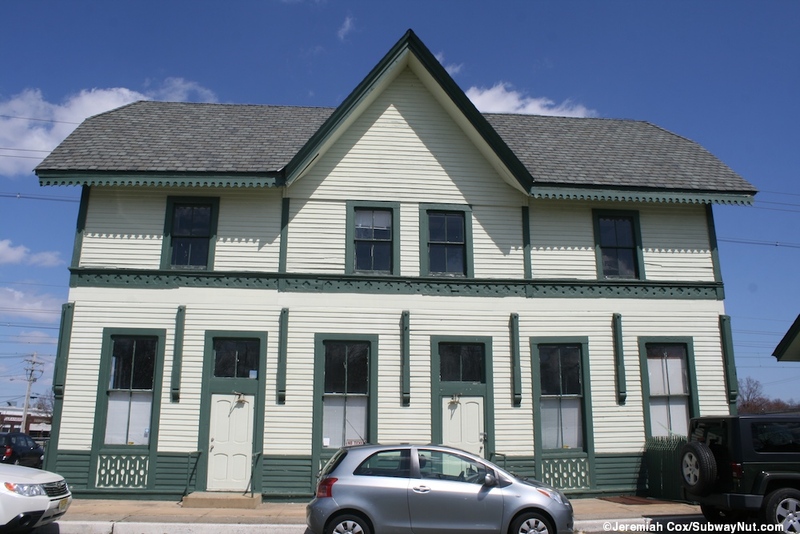 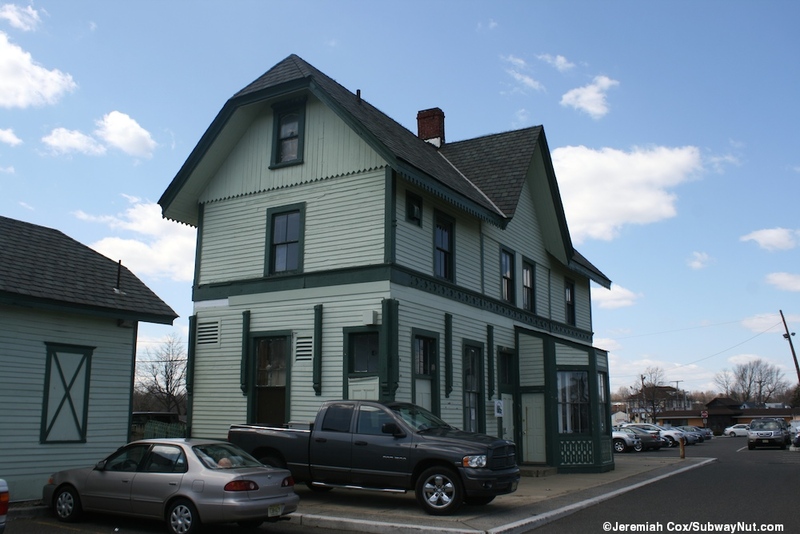 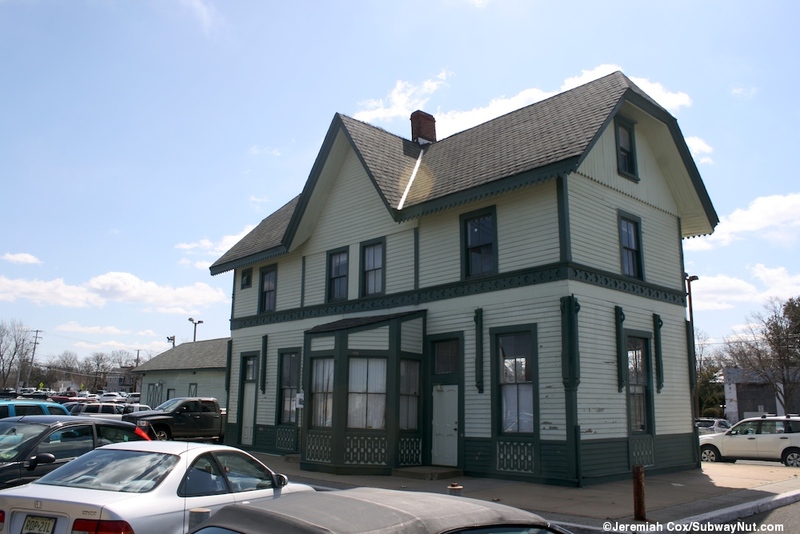 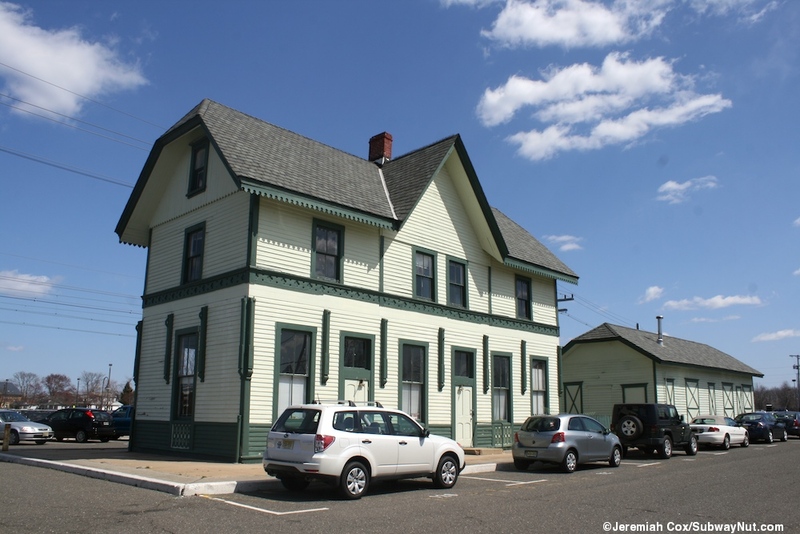 The historic station house is on the Long Branch-bound side of the tracks and is a green two story structure with a high gabled roof that includes two third story, attic windows. 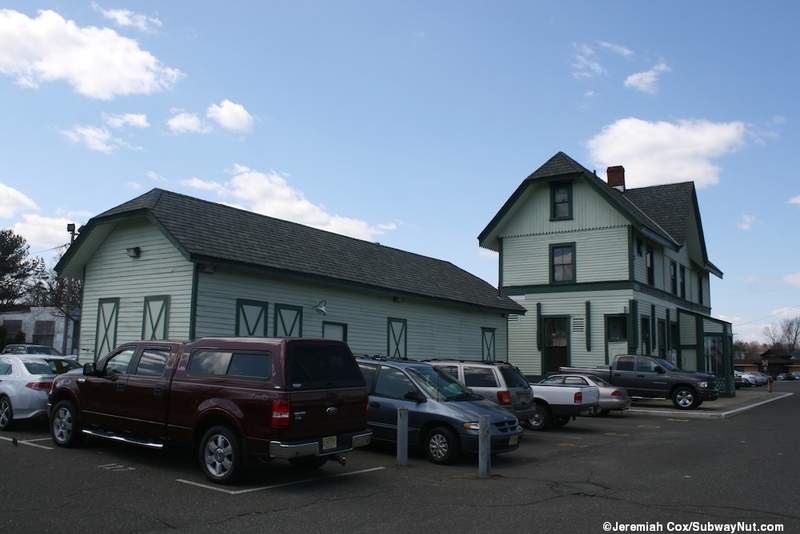 The building is still used by New Jersey Transit for non-passenger maintenance uses and a sign in the window says No Tickets Sold Here. 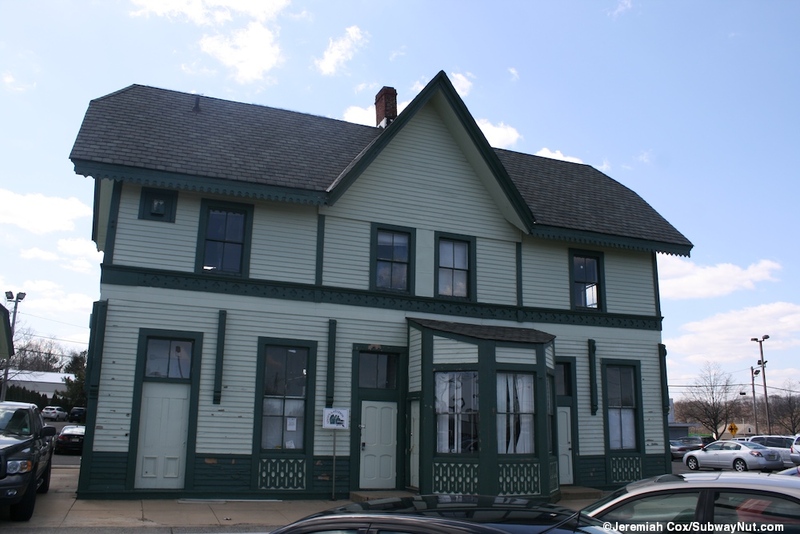 It was the ticket office until the new station opened. 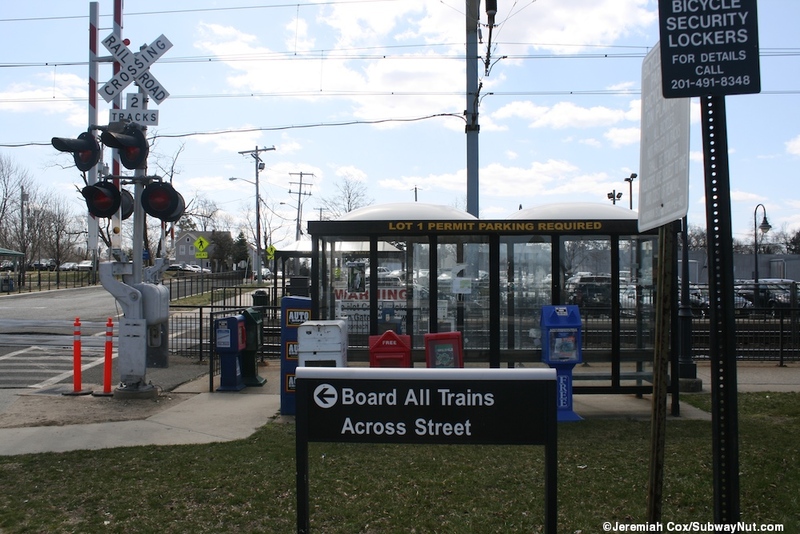 The report placing the station on the National Registry of Historic Places from 1984 claims a ticket agent was there from 5:00am to 9:00pm seven days per week back then. 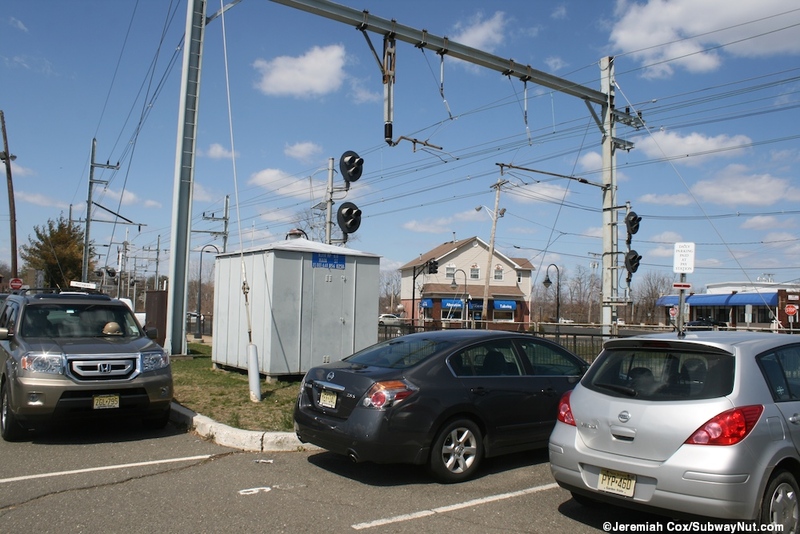 A bunch of parking spaces around the depot are reserved for NJT trucks. 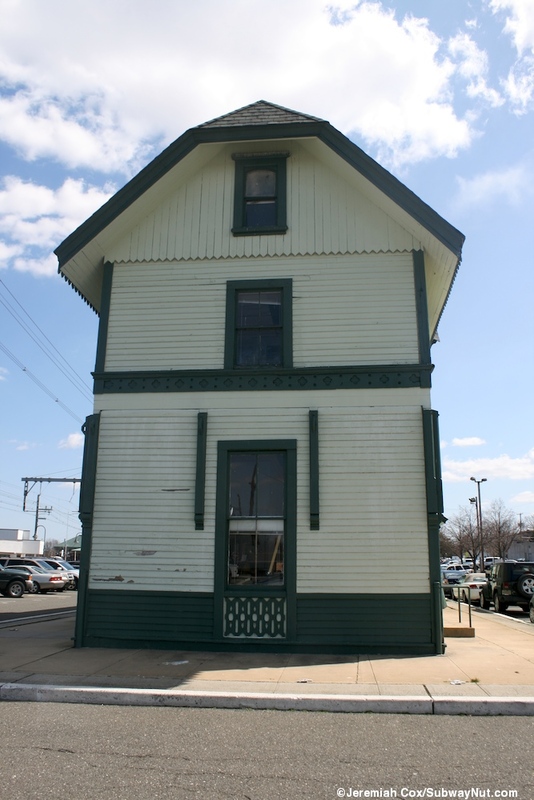 Directly next to the depot is the single story freight house that is a simple single-story wooden structure in the same style as the main depot except smaller and lacking windows. 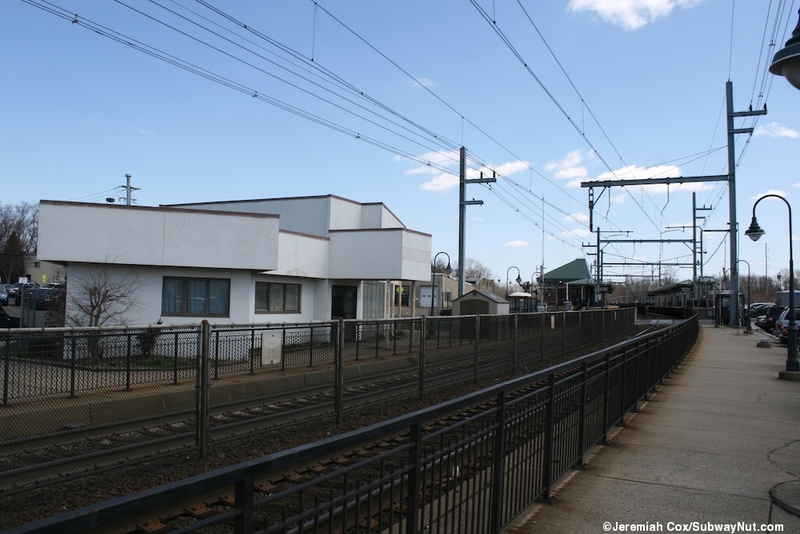 The former New York-bound platform has a strange small flat roofed white building with a sign on the door saying 'This is Not a NJT Station' along it. 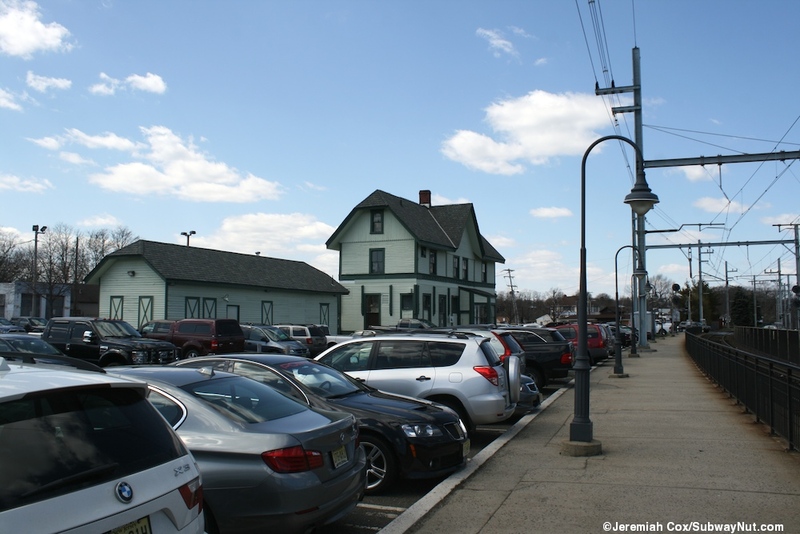 The historic depot is along a 185 space $3/day daily parking lot still by commuters who cross the tracks to the modern station. 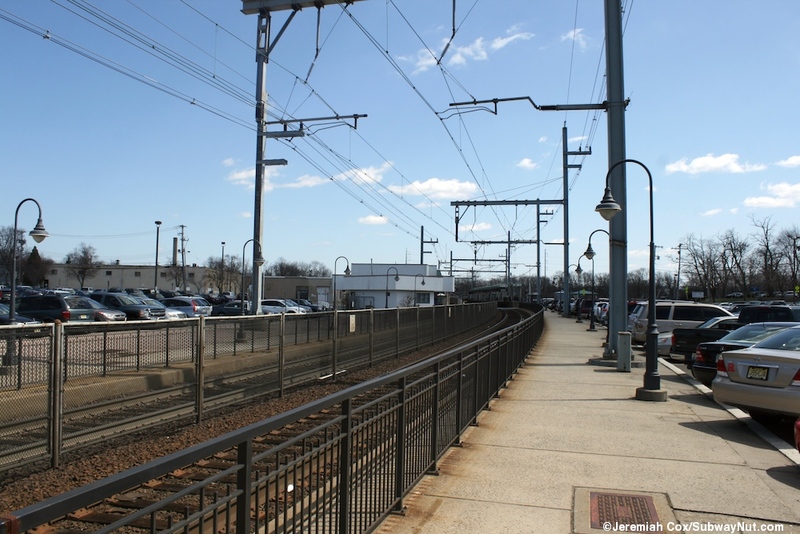 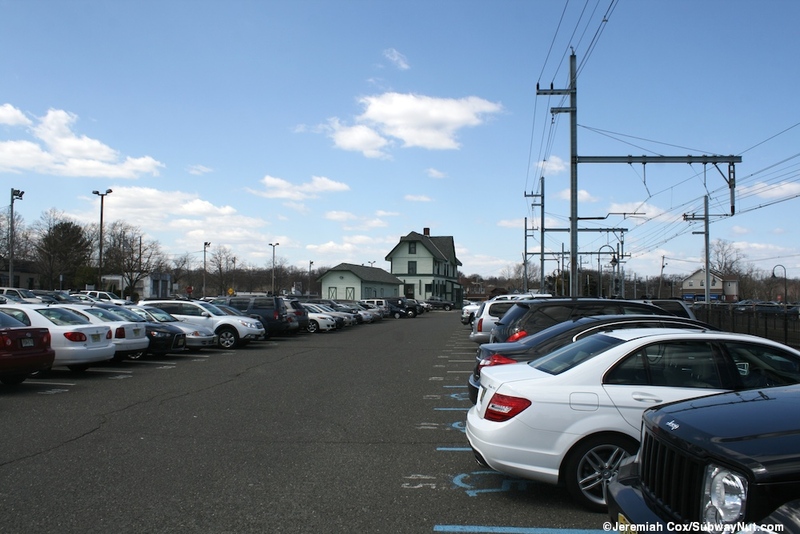 The former Newark-bound platform is along a large 417 space permit only ($40 per month) parking lot. 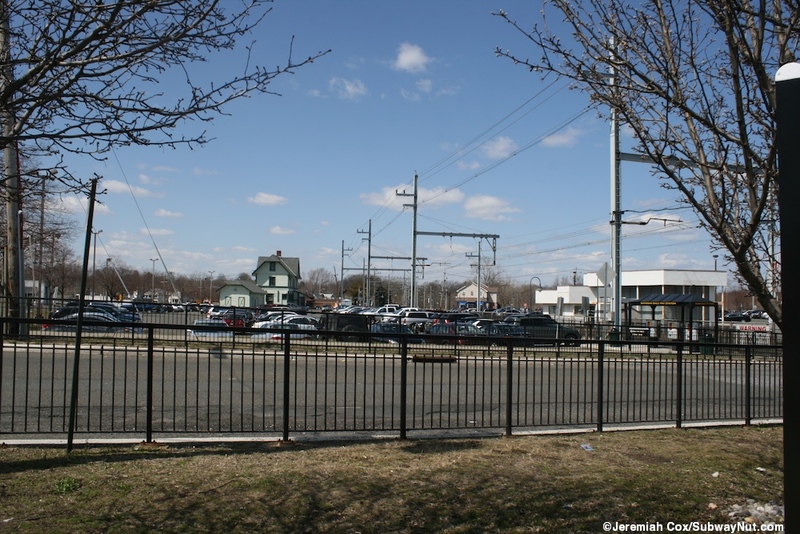 A bus shelter remains on each platform for parking payment and there is a still a fence between the tracks where the low-level platforms once were.